If you ask anyone who buys dog food where the protein comes from, they would tell you meat. After all, it is the first ingredient in most higher quality dog foods. Beef, chicken, turkey, lamb, or fish. Sometimes more than one of these. Or even a meat meal, like chicken meal. And of course, knowing that dogs are genetically almost identical to wolves (about 99.8% of DNA in common), we know they are designed to eat meat. And when we look at the prices for some of these premium foods, that has to reflect the meat needed to make them, right? At over three dollars a pound for a chicken based food, they must use a lot of meat, right? I was inspired to look into this by the current health challenge facing Golden Retrievers. It seems that the incidence of dilated cardiomyopathy is increasing in the breed, and University of California at Davis Veterinary College professor Dr. Joshua Stern has linked it to a taurine deficiency in affected Goldens. Taurine is an essential amino acid. Amino acids are the building blocks of proteins. Taurine is found in the largest amounts in meats. Dr. Stern also found that the affected dogs were largely eating grain free, high protein diets. You must be thinking, wait a second, did you say grain free, high protein diets? That doesn’t make sense! One of my readers, who had an affected dog, was feeding an ultra high quality beef formula commercial food. He called the company, and asked where the protein in the food came from — in other words, how much from meat, how much from other (plant) sources. Their answer: “While we cannot divulge the exact amount for a specific formula, our foods contain 25% – 40% protein from meats.” Yes, as little as one quarter meat protein compared to three quarters plant protein! So, I have to ask, where is the beef in this “beef formula” product? What my reader found out made me curious– was this the case with other high end foods? So, I called several companies whose products my owners used, and asked them. If you look on the website of any common food company, there are options to contact them, via email, message box on the site, or toll free number. Wanting answers right away, I grabbed my phone. First up was NutriSource, which is quite popular around here. My call was answered immediately, but as Tuffy’s Pet Foods. It turns out they make at least six different brands, including NutriSource. I explained I had a question about a NutriSource food. I was promptly transferred to another person. I asked what percentage of protein in a formula came from meat. She quickly replied, “It’s 25% from meat.” She then commented something like, “That’s usually what they ask for.” I was a bit puzzled by this, but made the assumption she was talking about the numerous products they make. She didn’t have anything else to share, so I thanked her and went on to my next call. Natural Balance was next on my list. Two calls, both to voicemail. So I left a message via their email link. Wellness was one of the first companies to produce grain free, higher protein foods, so they were an obvious company to call. I spoke to a woman named Barbara. She had no information available beyond the crude protein content of the food. She even checked with a supervisor. They didn’t have any breakdown of where the protein came from. Next I checked with Blue Buffalo, an extremely popular food company that was recently sold to General Mills (think Cheerios, Pillsbury, and Betty Crocker) for $8 billion. I was unable to reach a live person, but left a voicemail for a call back. I received a call back from a customer service representative within a couple hours. I explained that I needed to know about their protein content, and she said she did not have any breakdown. I explained it was because of a dilated cardiomyopathy condition in a Golden Retriever, and that we needed to figure out if the taurine would be OK in the food. She put me on hold a couple times, trying to find out the answer. However, she was unable to give me any more information. The next day, I received an email from a representative of Natural Balance, inviting me to call or email again, and providing me with a direct extension. I called her, and while she tried, it was the same story. Unfortunately, no information was available on meat and plant protein sources. So you are probably wondering how you make a food that is 30% or more protein, with only 25% of that protein coming from meat. The answer lies in the legumes — peas, chick peas, lentils, and their by-products — pea protein, pea protein isolate, pea flour, etc. The legume family is an economical source of protein, however the amino acid profile differs from that of meats. And legumes, as well as other plants, contain little taurine. So, if 75% of the protein in the food is coming from plant sources, it’s a no-brainer that the diet will be low, perhaps even deficient, in taurine. Add in other factors such as processing, storage, and transport, and you are looking at major health risk for our dogs. Not to mention deception and price gouging of consumers, who believe they are buying a meaty food. Would you pay over $3 a pound for peas or pea parts, that are not fit for human consumption? This is a picture from a grain free food manufacturer’s website. The ingredients of the formula the picture is intended to represent are: “Beef, Pork Meat Meal, Peas, Lentils, Chickpeas, Potatoes, Dried Sweet Potatoes, Dried Tomato Pomace…” How many of the first few ingredients do you see in the picture? It certainly looks like meat is the main ingredient from this beautiful photo, yet we know from the brands themselves this is far from the truth. It is becoming more and more clear that it is time to for this to change. Companies need to be honest about their products to every consumer, not just the ones willing to pick up the phone and hunt down information. Images and language that misrepresent commercial foods must go. 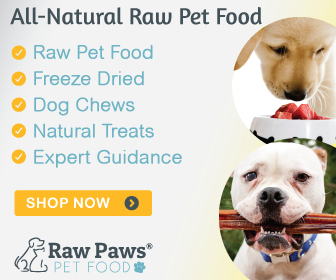 And the nutritional needs of our dogs need to be met based on their biology, not the cheapest ingredients that can be processed into a form that a dog can use to some degree. The alternative is that more and more people will continue to join the real food movement, home preparing their dog’s meals. As we know better, we do better. And we will. We dedicated dog owners are tired of being fooled into feeding products that harm, rather than support, our dog’s health. Want to learn more? Check out these great sources!